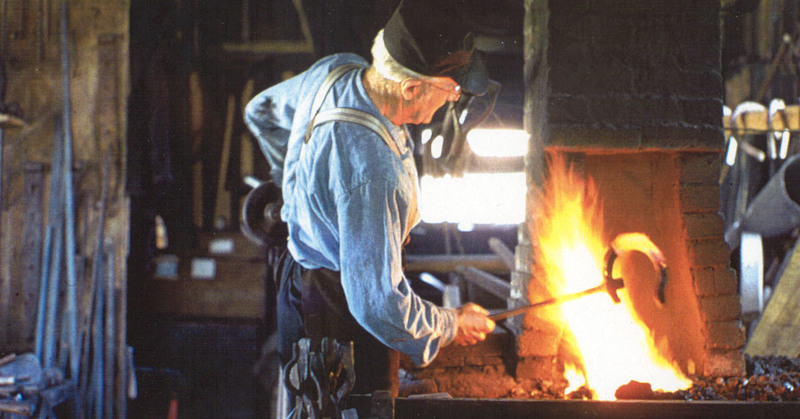 A blacksmith at work in his shop. 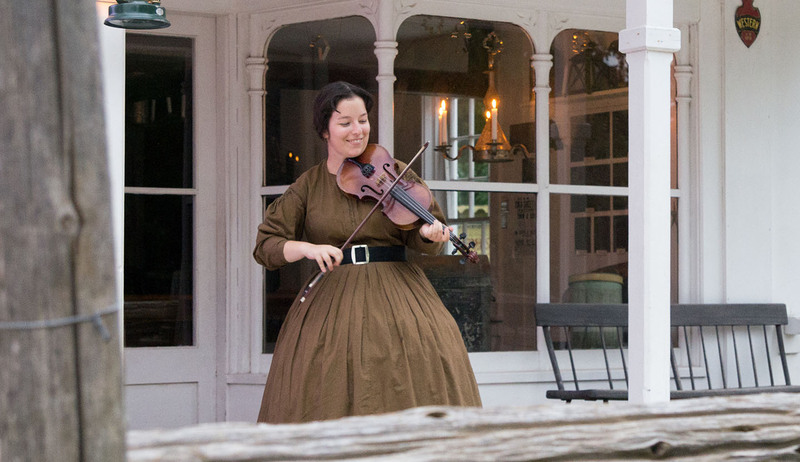 A young woman plays a fiddle in front of the Half Way House Inn. 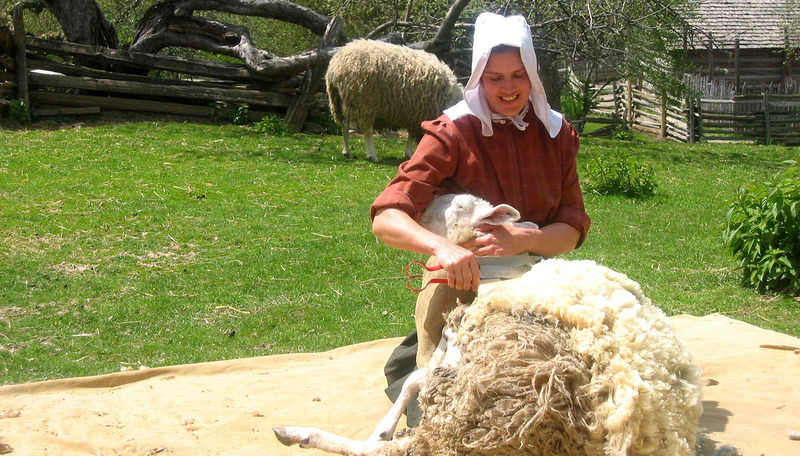 A young woman shears a sheep for its fleece. 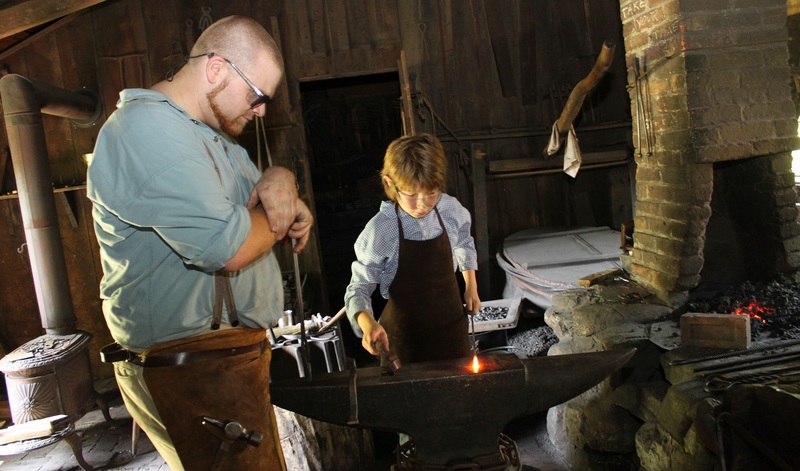 The Village blacksmith uses a forge to fashion a horseshoe. 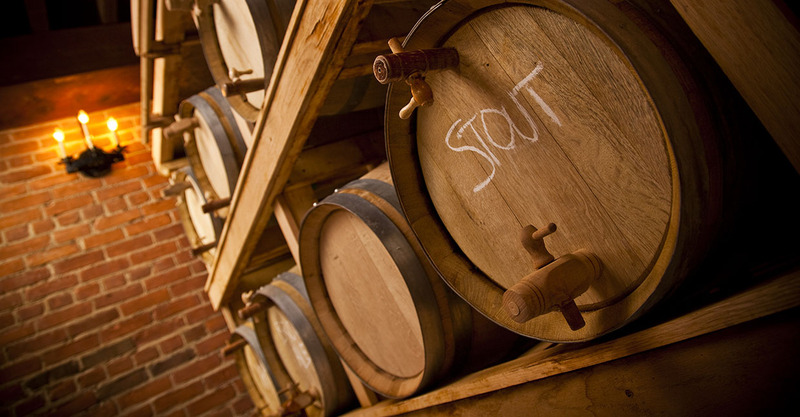 The Laskay Emporium is the Black Creek Pioneer Village general store. 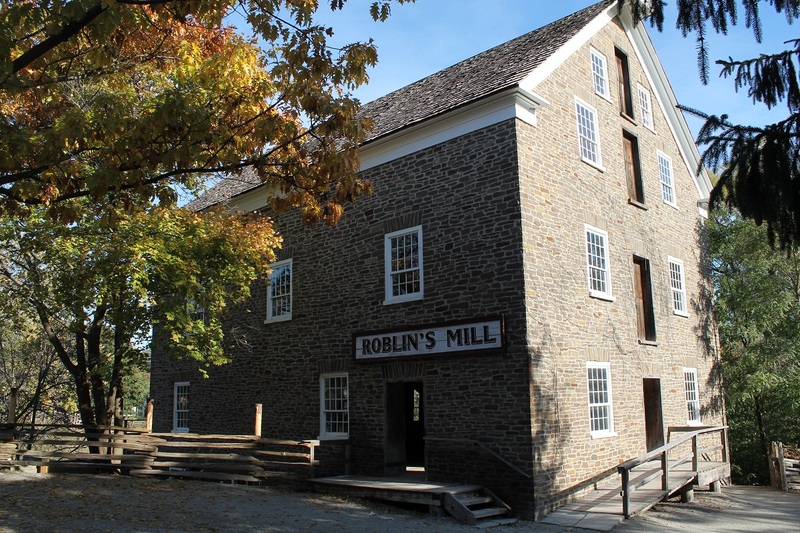 Roblin’s Mill is the Black Creek Pioneer Village gristmill. 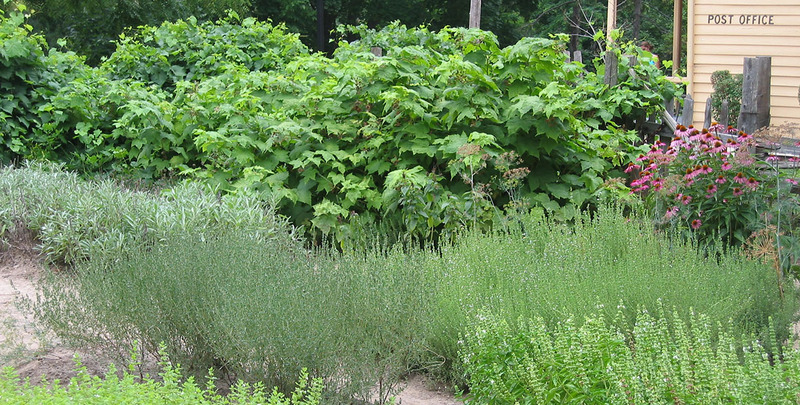 The Village herb garden, located between the Laskay Emporium and the Harness Shop. 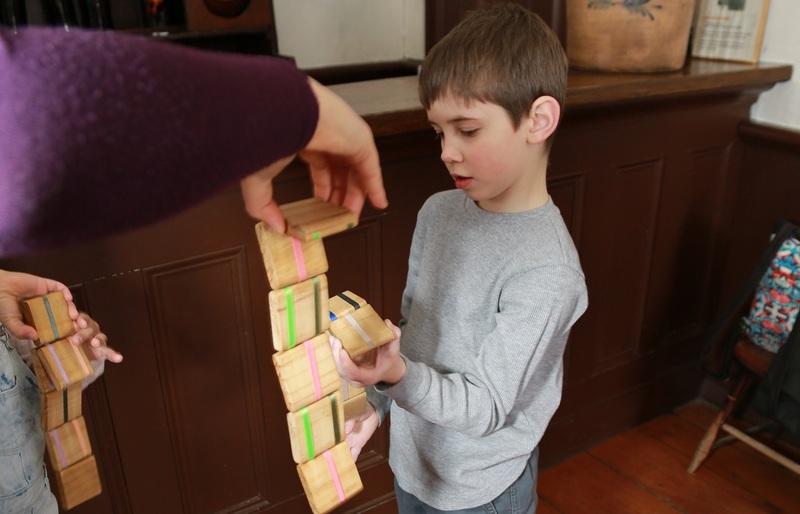 A young visitor to the village becomes acquainted with the Jacob’s Ladder. 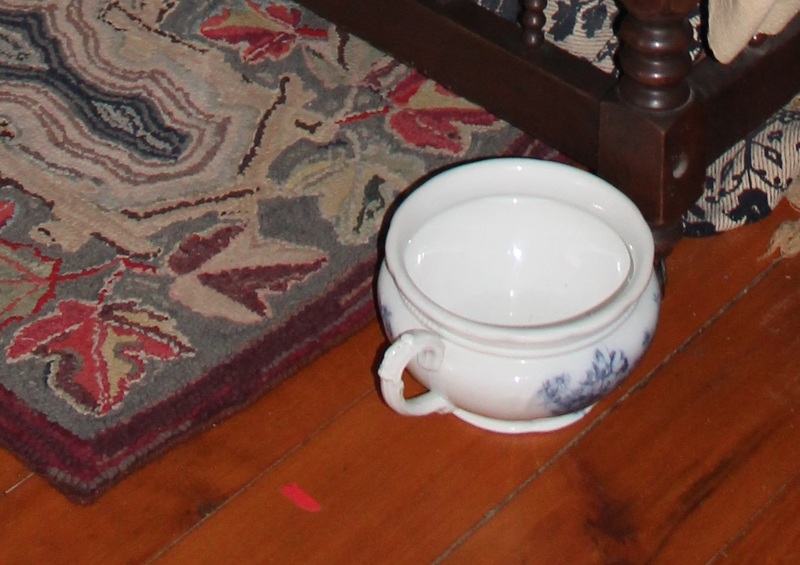 A kerosene lamp lights up a room at the Village. 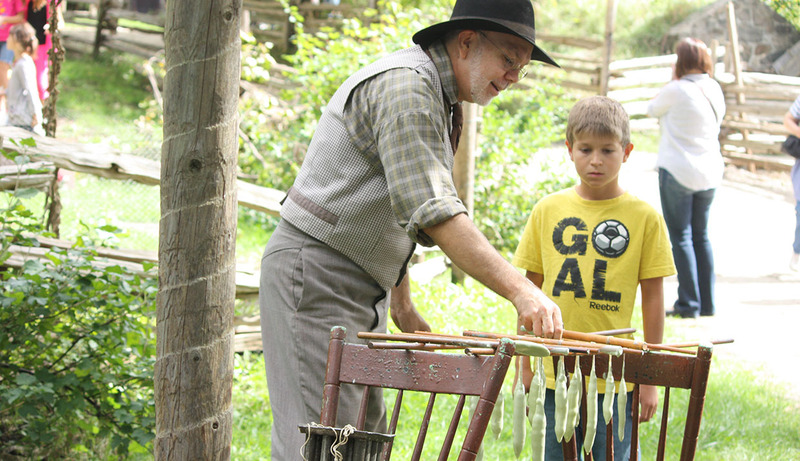 Visitors to Black Creek Pioneer Village can find a loom at the Charles Irvine Weaver’s Shop. 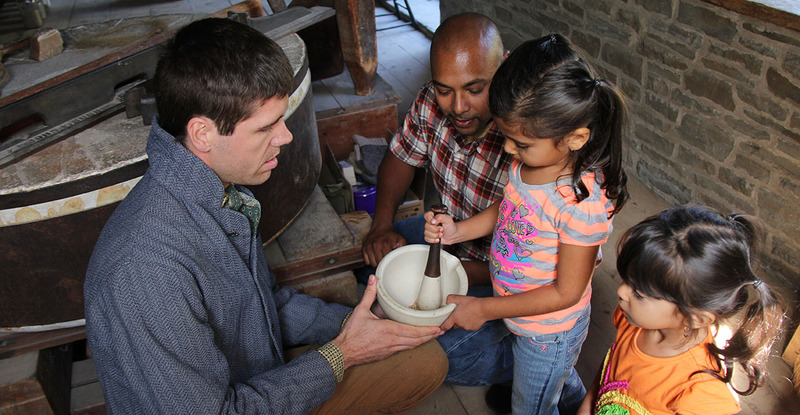 A Black Creek interpreter shows a young visitor how to grind grain in a mortar. 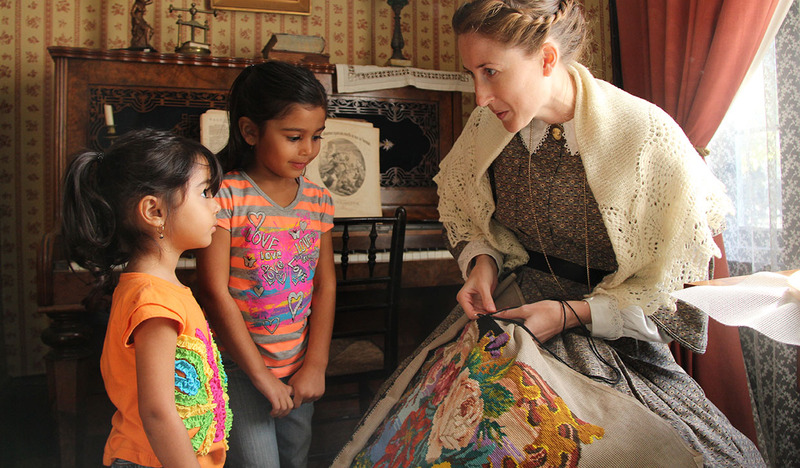 A Black Creek interpreter demonstrates needlepoint for two young visitors. 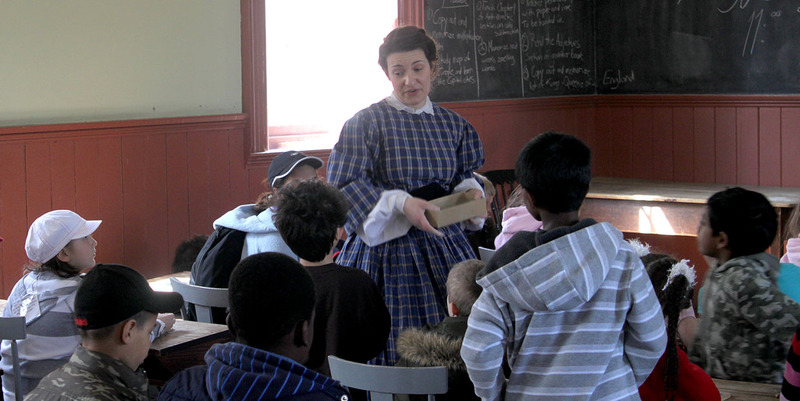 Young visitors to Black Creek experience what it was like to be taught in a one-room school. 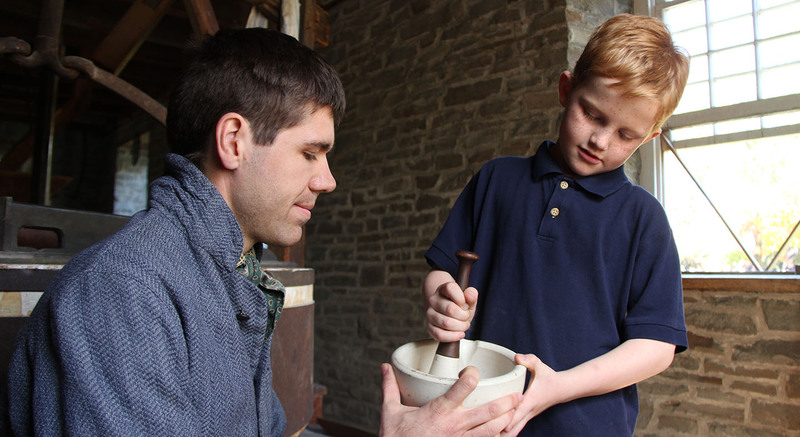 A young visitor to Black Creek practices crushing grain with a pestle. 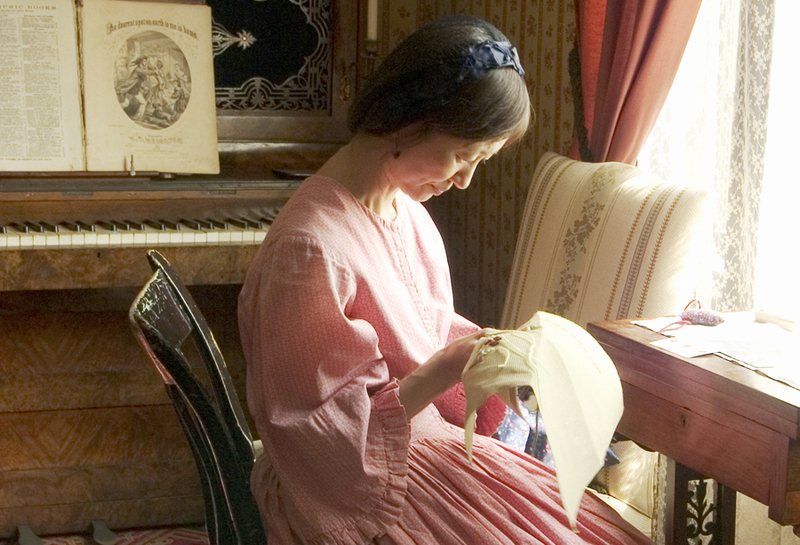 Interpreters in authentic period costume re-enact everyday pioneer life in the 1860’s. 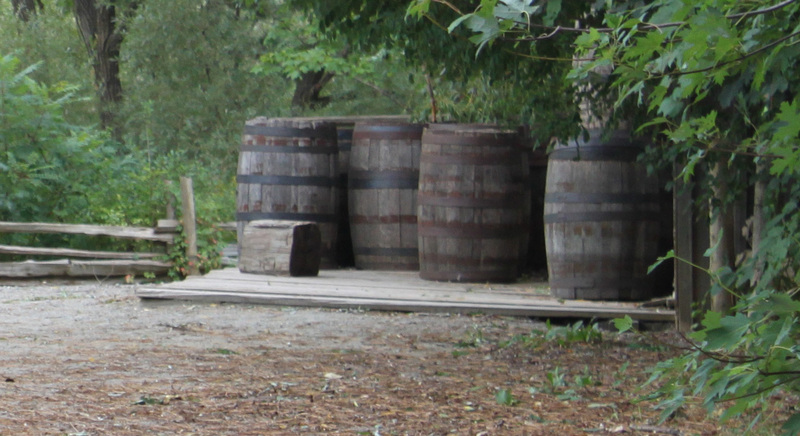 Quilts on display at Black Creek Pioneer Village. 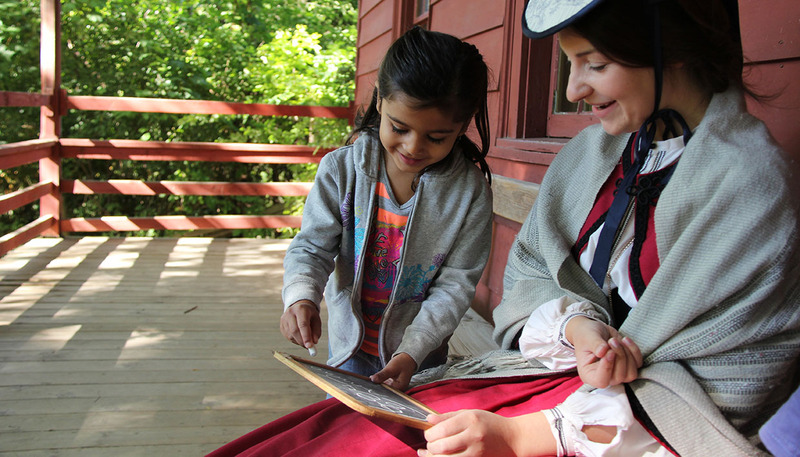 A young visitor to Black Creek practices writing on a slate. 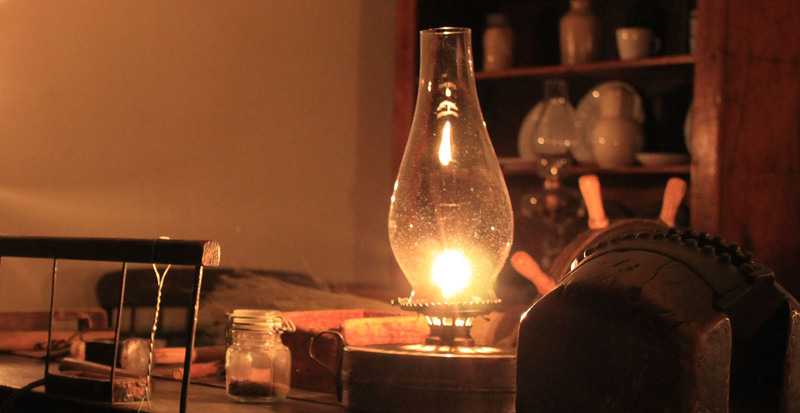 An interpreter at Black Creek Pioneer Village demonstrates how to make candles using tallow. 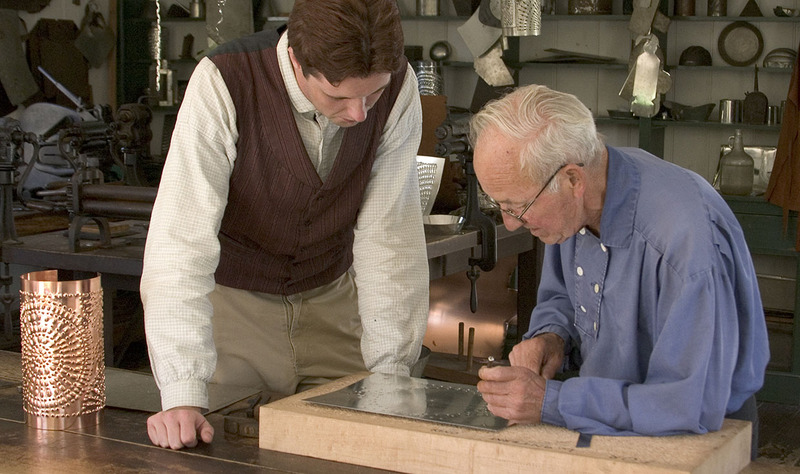 The Village tinsmith at work. 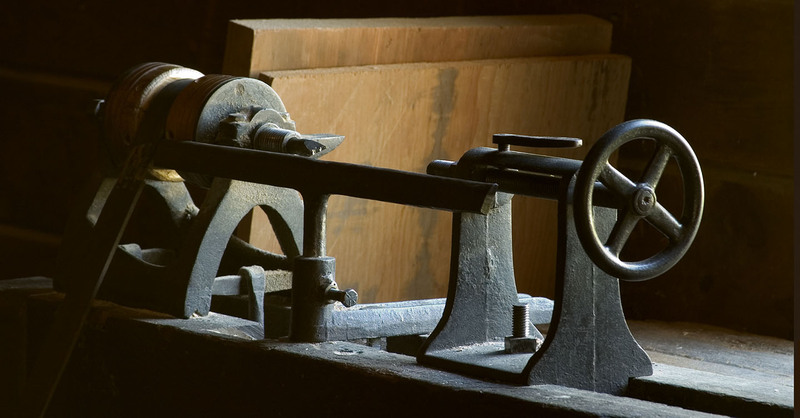 In a pioneer village, wrought iron implements were forged in the blacksmith shop.